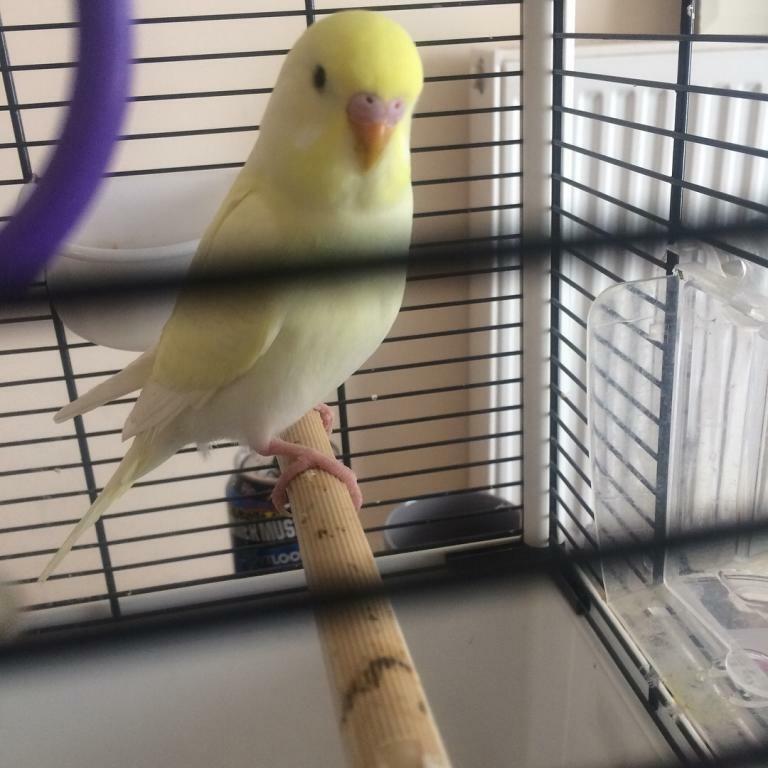 Can everyone please say an extra goodnight to my precious tweety bird, he was only 4 months old when he passed on this morning. He had beautiful yellow feathers and if I could describe him in one word it would be ‘fearless’. Plus he could fly faster than any bird I’ve seen. His budgie brothers and sister Oscar, Charlie and Tulip will miss him very much as will his human mama and papa. We’re not sure what’s caused his death but il be keeping an extra eye on my other babies. The first and last pictures I have of Tweety. Hi Rachel, I'm so very sorry to hear of your loss of Tweety. What a beautiful little budgie he was and I know he will be dearly missed. Your photos are beautiful and I know you'll treasure them. Fly high and free over Rainbow Bridge sweet budgie. I'm so sorry for the loss of your sweet boy, Rachel! He was a beautiful little man and obviously you loved him very much. 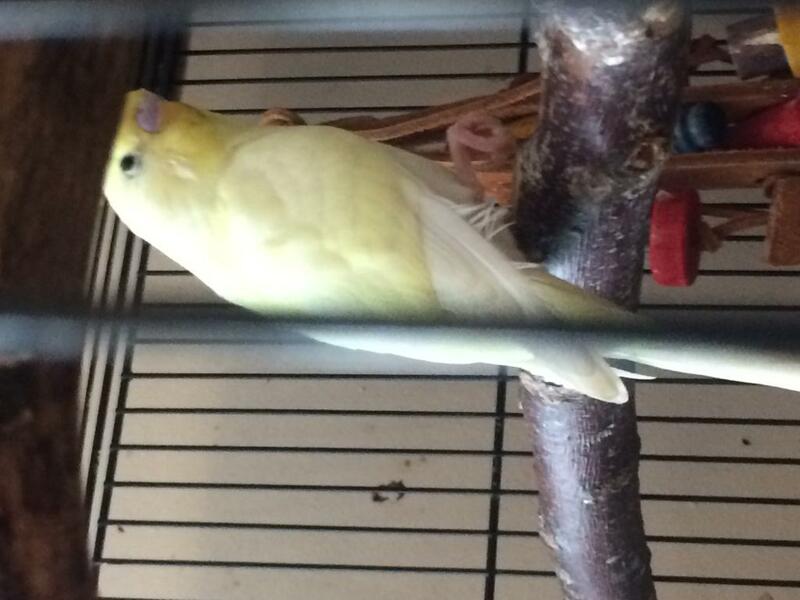 Rest in peace over the rainbow bridge, little Tweety! Rachel, I’m so sorry for your loss of Tweety. He was beautiful. Now he’s a beautiful angel flying free. You’ll have sweet memories forever. I'm so sorry for your loss of darling little Tweety. Fly high and soar freely sweet Tweety, rest peacefully now little one. Thankyou so much to everyone who has replied, you’re all too kind. It’s been a tough day and they’ll be some tears for a while, it was heart breaking this morning seeing Tulip (tweetys best friend) calling out for him. He gave us all many memories and it’s so humbling to think you all had him in your thoughts. Hi Rachel. Im so very sorry to read this. And at only 4 months this must be a huge shock for you. Not easy for you by any means. Best wishes and peace to you. Colin. I am very sorry for your loss. What a beautiful little birdie! Soar high little one.